Help-I've got no dosh! 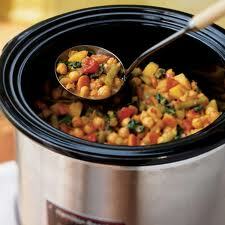 : Slow cooker- delicious and economical meals! Slow cooker- delicious and economical meals! It may be worth considering investing in a slow cooker for heart, healthy and economical meals ready and waiting when you come in from work. At present there are loads of good deals on slow cookers and you can buy a pro-line slow cooker for as little as £14.99. With a little preparation in the morning chuck in vegetables, chickpeas, seasoning and meat of your choice for delicious, economical meals. They are great for cheaper cuts of meat as the meat becomes much more tender due to the length of time spent cooking. For recipes go to slowcookerrecipes.org.uk for a fabulous range of recipes perfect for winter. Why not give it a go? Help-I've got no dosh! eBook now out! Our eBook is now available to purchase on Smashwords! Jam packed full of money saving tips to help you halve your spending yet live a richer life. Go to https://www.smashwords.com/books/view/164781 at the offer price of $1.95 ! How we saved £2500 and how you can too! Beating the post christmas blues! Easy vest top to knit! We are mums and psychologists who want to share our common sense wisdom about life. Everything from money saving tips to how to lose that stubborn weight! Log in from time to time-you are very welcome!